Go outside and play! That’s the theme of the 14th Okinawa City International Festival scheduled to take place at Okinawa Children’s Zoo on Feb. 29. 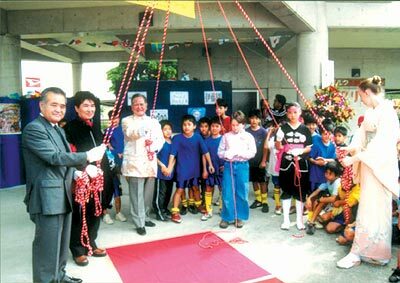 The festival aims to create better understanding of different customs and lifestyles of various countries among local and foreign residents of Okinawa City. Organizers also wish to promote the development of the local community and prepare its members to better meet the demands of the age of globalization. The event runs from 10 a.m. to 5 p.m., and will feature a singing contest, children’s eisa and other traditional dances, and a stage show by Kenji Hachimine. There will also be a handmade toys exhibition, penalty kick contest and a show of kids’ games from various parts of the world. Participants will also be able to sample different international foods and take participate in a Japanese tea ceremony. A Family Karaoke Contest will also take place.